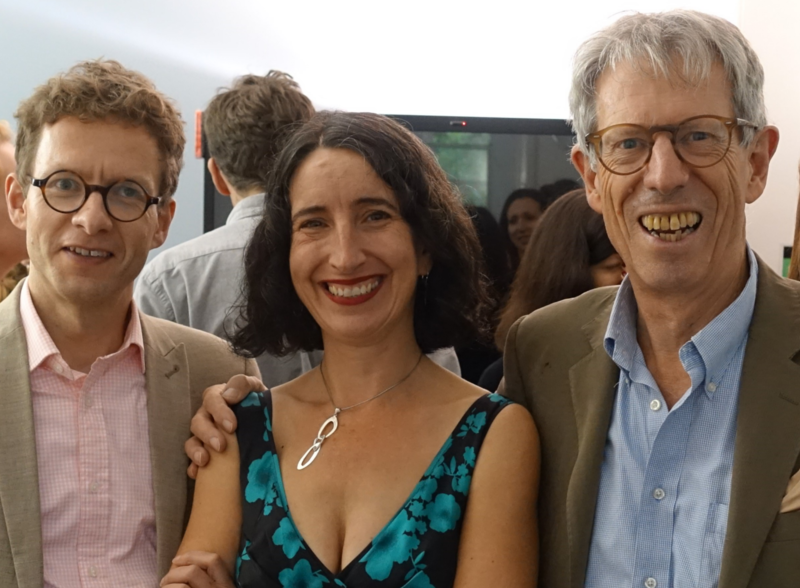 On 26 July the Constitution Unit held a launch event for a new book by Alan Renwick and Jean-Benoit Pilet on the ‘personalisation’ of electoral systems. 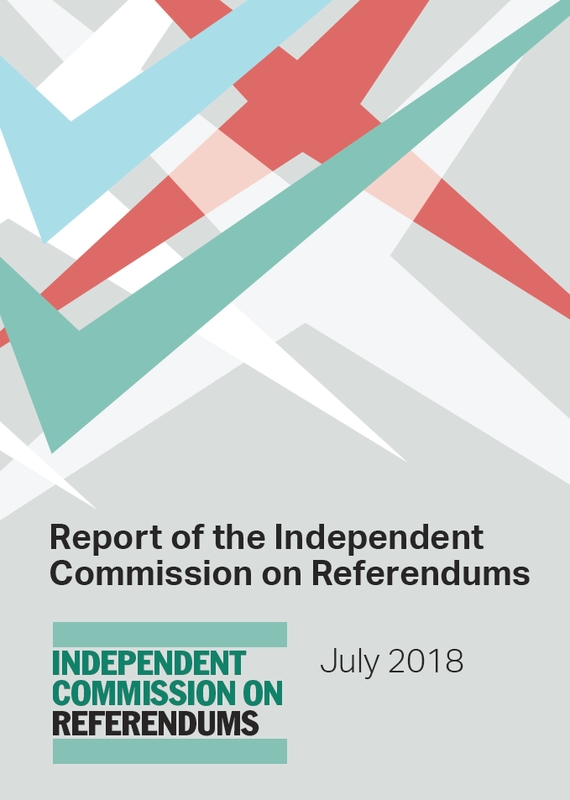 At the event Alan Renwick outlined the book’s key findings, which were then discussed by electoral experts Justin Fisher, Darren Hughes and Roger Scully. Zander Goss reports on the event. There is a well-known trend in contemporary democracies towards so-called ‘personalisation’, through which increasing attention is given to individual politicians and candidates rather than political parties. In a new book published earlier this year by Oxford University Press – Faces on the Ballot: The Personalization of Electoral Systems in Europe – the Deputy Director of the Constitution Unit, Dr Alan Renwick, writing with Jean-Benoit Pilet of the Université libre de Bruxelles, offers detailed analysis of one aspect of this phenomenon: the personalisation of electoral systems. At a launch event on 26 July chaired by the Unit’s Dr Jennifer vanHeerde-Hudson, Dr Renwick was joined by a panel of electoral experts consisting of Professor Justin Fisher (Brunel University), Professor Roger Scully (Cardiff University), and Darren Hughes (Deputy Chief Executive of the Electoral Reform Society), to discuss the book’s findings and its implications for electoral reform in the United Kingdom. Alan Renwick began the seminar by outlining some of the book’s core arguments. He defined the personalisation of an electoral system as ‘the degree to which voters under that system can express preferences among individual candidates and the degree to which those preferences determine which candidates win election’. In order to examine trends in such personalisation, the book analyses changes in electoral systems in European democracies since 1945. It finds that electoral reforms changed fundamentally in the late 1980s. Whereas, before that time, there was no trend towards more or less personalised electoral systems, since then, many European countries have shifted their electoral systems towards greater personalisation. Furthermore, the processes underlying these reforms have also changed. Before 1989, electoral reforms were primarily driven by parties and political elites, while public opinion received scant attention. Since 1989, by contrast, reforms have often been motivated – at least in large part – by a desire to respond to public disengagement from or disillusionment with political parties in particular, and politics more generally. Thus, while political elites continue to hold the reins when electoral reforms are enacted, they have grown more responsive – or, at least, have sought to create the impression of being more responsive – to public opinion and voters’ desire for change. Yet the book also finds that these reforms have had only limited effects. There is some evidence that voters are now using opportunities to express candidate preferences in greater numbers, and these preferences are affecting who gets elected to a greater extent than before. But if reforms were intended to tackle rising dissatisfaction with democracy or reverse growing disengagement from electoral politics, there is no evidence that they have done so. Each of the other speakers began their comments by praising the book. Roger Scully applauded the ‘great, meticulous, descriptive detail’ of the research underpinning the book, which provides a rich dataset for future academics to exploit. Justin Fisher joined Professor Scully in congratulating the authors for showing so clearly – and for being willing to acknowledge – that these electoral reforms have been an insufficient remedy for flagging satisfaction with politics. 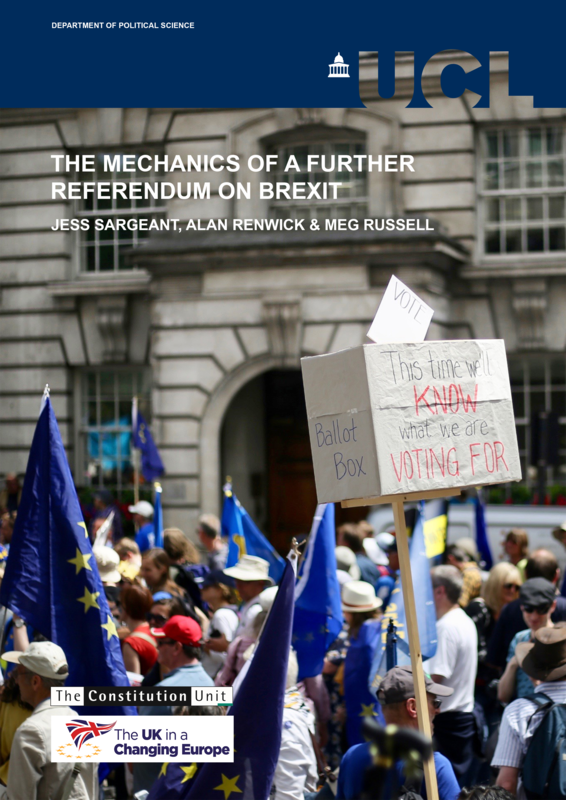 Professor Scully and Darren Hughes both noted their pleasant surprise and excitement at learning about peculiar electoral arrangements for the first time, demonstrating how rich a catalogue of European electoral systems the book discusses. There was no disagreement among the speakers on the fact that a trend towards greater personalisation of electoral systems does exist. Justin Fisher observed that there is, indeed, a wider trend towards individualisation in politics and society. For example, changes to Labour’s relationship with the trade unions and the Trade Union Act have encouraged a shift from collective to individual participation in politics. Similarly, Darren Hughes offered an analogy between citizens and consumers. In the past, he said, the narrowness of options available to voters on the ballot paper was matched by similarly limited choice available in the shops. Today’s consumers, however, have a dizzyingly wider array of options, and they effortlessly adjust their buying according to the best prices for the best services. Unsurprisingly, when they enter the polling booth and find that they still have just the same limited options as before, they are disappointed. There was also fruitful discussion of the factors underpinning these patterns. Alan Renwick, in his opening remarks, linked it to disengagement from political parties. But Justin Fisher offered reasons to doubt that greater personalisation is due to a declining party system. Parties, he said, are ‘always in crisis’, yet they continue to be ‘the great survivors of democracies’. He suggested that the decline in the degree to which voters identify with particular political parties does not necessarily indicate disillusionment with party democracy as such. He illustrated this by comparing voters to consumers: a shopper struggling to choose between competing products might have just as hard a decision when the options are equally wonderful as when they are equally terrible. The mere fact that brand loyalty is diminished in both scenarios does not lead to the conclusion that consumers are dissatisfied with brands, or even with one brand in particular. Increasing volatility from one election to the next, similarly, does not necessarily mean that voters would prefer more candidate-centric politics; rather, voters may simply be more prepared to switch parties than before. This, together with lower rates of party membership, could mean that the concept of party membership itself is outdated. Professor Fisher therefore suggested that the personalisation of electoral systems might have its origins in deeper social changes. Dr Renwick acknowledged this, suggesting that the various factors all belong to a general syndrome of individualisation within which it may be difficult to pin down particular causal links. There was also lively debate around the effects of personalising reforms. 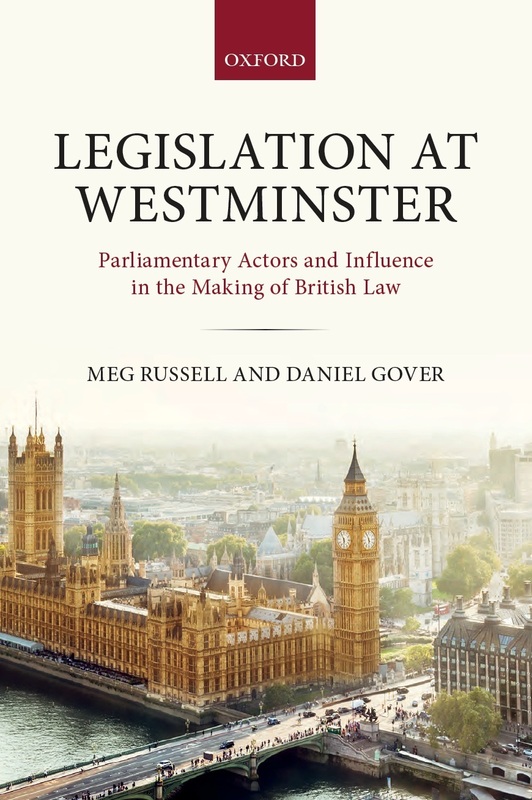 Roger Scully highlighted what he called the book’s ‘non-finding’ – the absence of effects upon electoral turnout or satisfaction with democracy – as one of its key contributions. Picking up the same theme, Justin Fisher said that the book helps to burst the ‘great reform myth’ that electoral reform can be a magic bullet. Just as no amount of legislation on party finance or parliamentary expenses has shifted the perception that politicians are corrupt, electoral reformers are misguided to believe that introducing new rules will fix voter satisfaction. Nevertheless, the speakers did not want to argue that electoral reform is therefore not worth considering. Professor Scully said that the debate should sometimes focus on whether reform is a good thing to do in its own right, irrespective of immediate benefits. Darren Hughes argued that, even if reforms do not have grand effects upon how people view the democratic system as a whole, they can still improve how the political system operates in ways that we should care about. He cited, by way of example, the disappearance of uncontested elections after Scotland moved to STV for local council elections in 2007. He also drew on his experience as a former New Zealand politician, saying that the move there in 1993 from first past the post to a mixed-member proportional system allowed voters to think about their vote as two separate questions: ‘which MP do I want?’ and ‘who do I want running government?’ Reforming electoral systems in the UK so that voters ask these separate questions would, he said, be a beginning, not an end, to improving politics. Alan Renwick agreed with this focus on intermediate effects, saying there is evidence – though it is not very systematic – that some reforms have strengthened politicians’ relations with their electorates and changed how they vote in parliament. Is greater personalisation of electoral systems desirable? This led on to wider discussion of how personalised we should want electoral systems to be. Roger Scully said that, in reading the book, he had shifted from being a ‘moderate, but not evangelical believer’ in the benefits of greater personalisation to ‘the ranks of the agnostic’. Several audience members argued that systems that give voters more say are more democratic than those where parties are more powerful. On the other hand, another contended that this depends on whether parties themselves have democratic procedures for selecting their candidates. Echoing Professor Fisher’s earlier observation that the concept of party membership might be outdated, Darren Hughes questioned whether increasing the role of party members in leadership contests will necessarily lead to outcomes that reflect the values of those parties’ voters. There is no evidence, for example, that the approximately 500,000 Labour party members connect particularly well with the roughly nine million voters who backed Labour in the 2015 general election, let alone the two to three million more that they would have needed to win the election. Alan Renwick pointed out that, while there can be benefits in personalising reforms, there can also be risks. They may, for example, lead voters to place greater weight on candidates’ personalities, which may perversely lead to lower voter satisfaction if those personalities do not match voters’ policy preferences. More candidate-centric electoral systems could also lead to less effective government if politicians spend too much time delivering ‘pork’ to their personal voters and too little time developing coherent national party policy platforms. 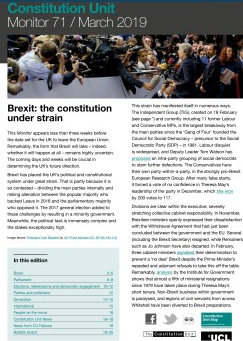 Alan Renwick and Jean-Benoit Pilet’s research generated a lively conversation at the event and received considerable praise for its breadth – covering Europe electoral reforms over 70+ years – and its fine detail. In addition to the authors’ contributions in confirming the hypothesised trend toward greater personalisation and in exploding the ‘great reform myth’, the trove of data presented in the book ensure that it will be an important resource for any future scholarship in the field. Proponents of electoral reform will do well to reflect on the book’s findings and focus on new ways to more thoughtfully and thoroughly engage the public in discussing the merits – and risks – of candidate-centric politics. Faces on the Ballot: The Personalization of Electoral Systems by Alan Renwick and Jean-Benoit Pilet was published by Oxford University Press in February 2016. Please click here to order online and use the code ASFLYQ6 for a 30 per cent discount. Justin Fisher is Professor of Political Science and Head of the Department of Politics, History and the Brunel Law School at Brunel University London. He is a Constitution Unit Fellow. Darren Hughes is the Deputy Chief Executive of the Electoral Reform Society. Roger Scully is Professor of Political Science at Cardiff University. 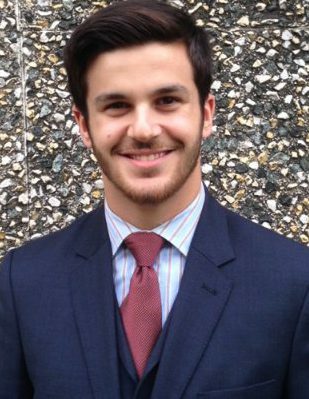 Zander Goss is a Research Volunteer at the Constitution Unit. This entry was posted in Elections and referendums, Events and tagged Alan Renwick, Darren Hughes, Electoral systems, Faces on the Ballot, Justin Fisher, Personalisation, roger scully. Bookmark the permalink.